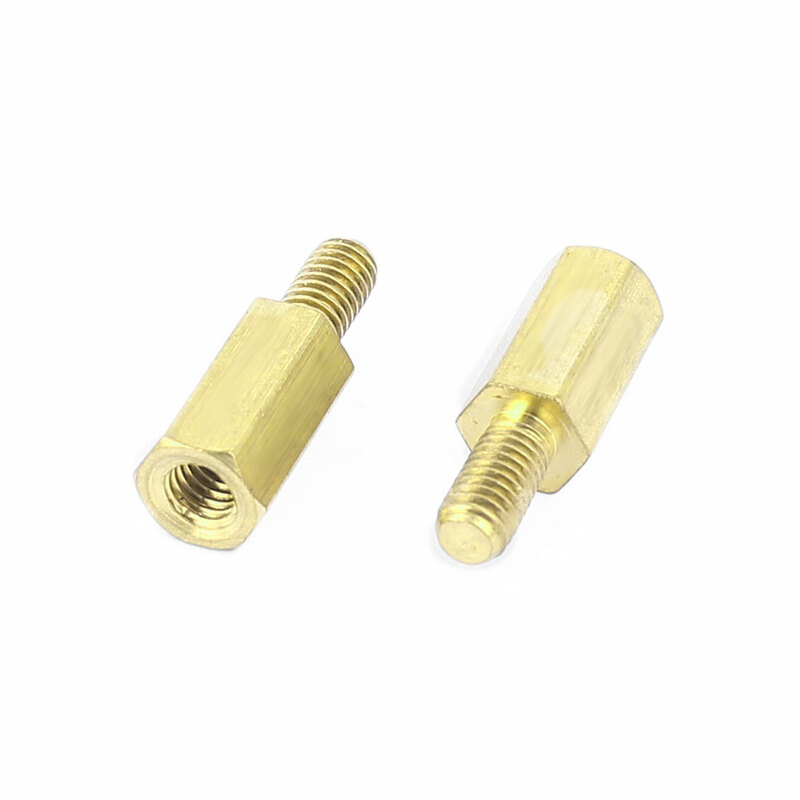 Screw threaded hexagon stand-off spacers of male to female type, with gold tone plated brass construction. Threaded spacers are used to stack or mount printed circuit boards and machine boards. A standoffs spacer is used to keep the motherboard above the case, prevents motherboard from shorting out and helps cooling. First, compare the motherboard to the tray that it is going to be installed in. Any location that has a mounting hole will require a standoff installed in the tray. Second, install the brass hex standoff in the appropriate location with a hex driver. Finally, Lay the motherboard over the tray and align the board so all the standoffs are visible through the mounting holes. Starting with the center most mounting point, insert the screws to the female end of the standoff to fix the motherboard to the tray. Most standoffs screw into their holes, but some are pushed in like pegs. Not all motherboards will be able to attach with all of the available holes. Connect as many standoffs as possible, but never use any extra standoffs. Standoffs should only be installed in locations with a corresponding motherboard hole. Don not overtighten the screws. Make sure it is firm but not too tight. Do not use an electric screwdriver. It is best to avoid using non-metallic holes at all.